Comes in blue color, look so interesting. Japanese false lashes packaging always very cute! I love the layout and the big hibiscus flower on the lower right. The blue flower pattern on the back also very cute! 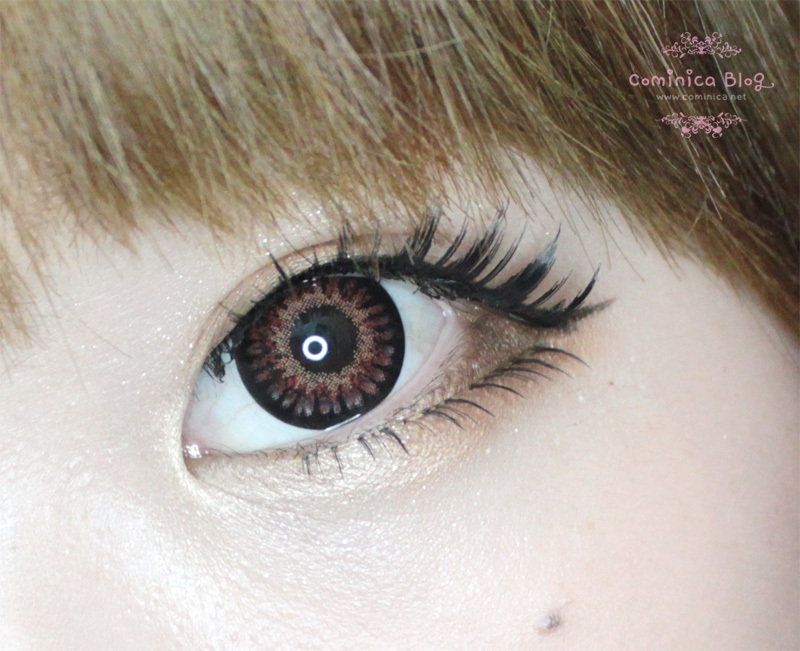 This false lashes is made from synthetic hair, however I didn't feel any discomfort while wearing this. I don't need to trim the lashes because the band isn't too long and not too short. （⌒▽⌒）See how it blends in. Nyaaww, kawaii droopy eyes *Q*. khekehekhek. I already wear 4-5 times and the false lashes still look so good. I still can re-use it many times, hohoho. Just like Diamond Lash, you get 5 pairs in 1 box! Unlike Dolly Wink or Eyemazing, heheh. Now, I'm thinking to get number 3/5 next time. Not sure when I'm going to Malaysia again but I'll get another box of Luminous eyelashes if I have a chance! cool!! <3 *O* I wanna try them! omg so cute! and a good dupe of dollywink lashes! they make your eyes look dreamy! the term droopy eyes can actually insult some people so I'm quite shocked they used that word to name their eyelash. I haven't tried Luminous Lashes before but I really love how this one looks on you. I need to go to Sasa asap to check this out. hahahaha sure sure go ahead!